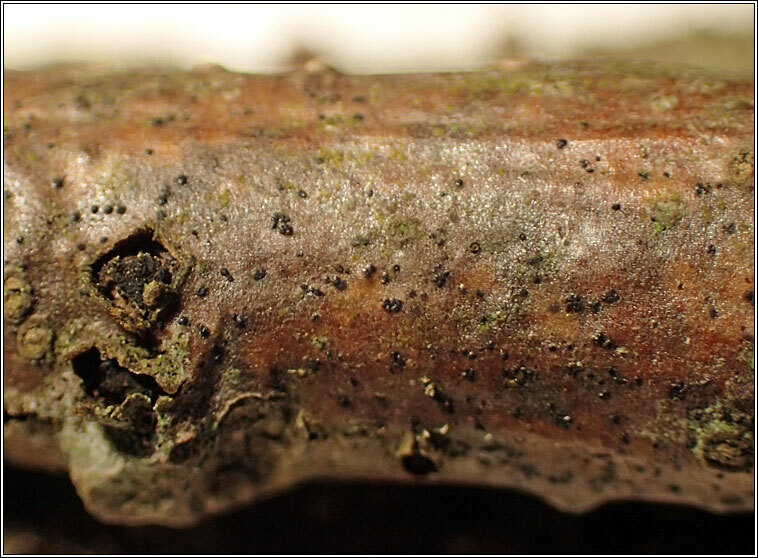 Common, usually occurs on young, smooth Oak twigs, occasional on Hazel. 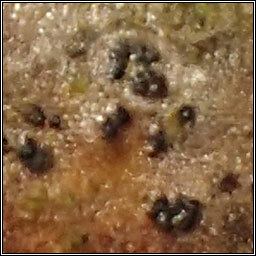 Thallus immersed, sometimes discolouring the bark. 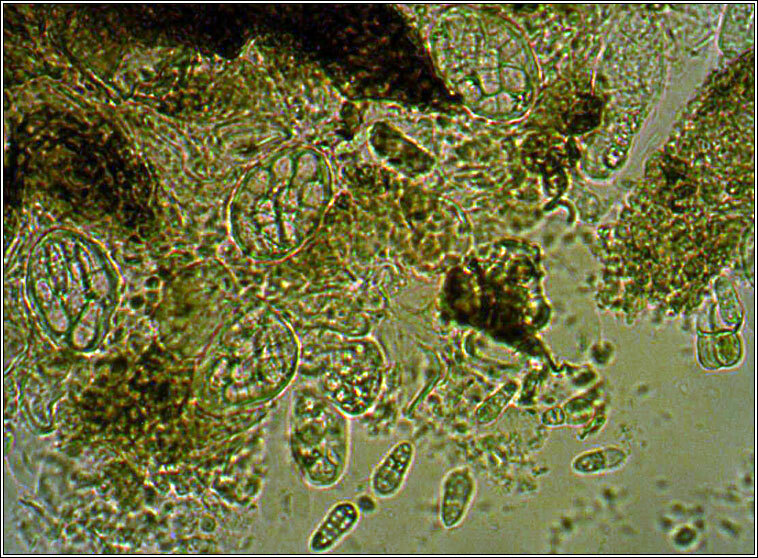 Ascomata irregular in outline, with 1-6 locules. 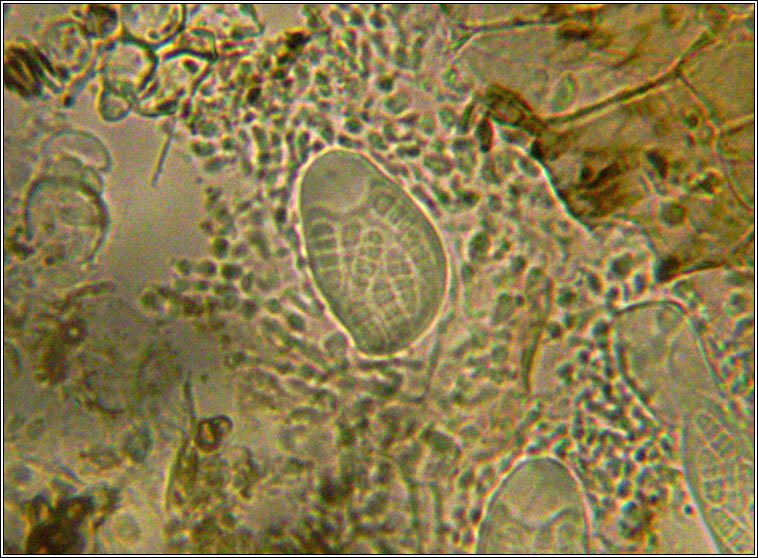 Spores becoming submuriform with (3-)4(-5) tranverse septa, (10-)12-18 × 4.5-7 µm. Microscope photographs below.